Here are summaries of ethics opinions issued October 2016 and January 2017. The opinions were issued by the NYSBA Committee on Professional Ethics and the NYC Bar Association Committee on Professional Ethics. NYLER will continue to provide updates on new ethics opinions issued by these and other ethics committees in New York State. 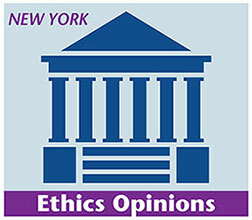 For information about how to obtain an ethics opinion from the NYSBA Committee on Professional Ethics, please visit http://www.nysba.org/Ethics/. 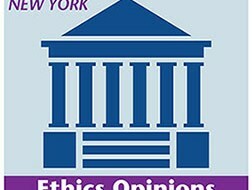 For information about how to obtain an ethics opinion from the NYC Bar Association Committee on Professional Ethics, please visit http://www.nycbar.org/member-and-career-services/committees/. 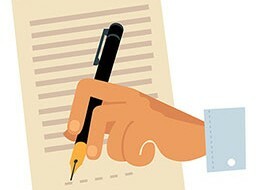 Opinion 1104 addressed whether a lawyer may ethically secure his legal fees by having his client sign a promissory note secured by a mortgage against the client’s property. The Opinion reasoned that the inquiry turned on whether the proposed arrangement constituted a business transaction with the client. If so, the arrangement would be subject to Rule 1.8(a) of the New York Rules of Professional Conduct (Rules). Rule 1.8(a) prohibits business transactions with clients unless: (i) the transaction is fair and reasonable to the client and the terms of the transaction are fully disclosed in writing and can be reasonably understood; (ii) the client is advised in writing of the desirability of seeking independent counsel and is given a reasonable opportunity to do so; and (iii) the client gives informed consent, confirmed in writing, to the material terms of the transaction including the lawyer’s role in the transaction and whether the lawyer is representing the client in the transaction. The Opinion reasoned that “Rule 1.8(a) by its terms applies only if the client expects the lawyer to exercise professional judgment for the benefit of the client in the matter.” The Opinion continued “[t]he determination of this issue turns on several factors, including the sophistication and expectations of the client, the complexity of the proposed promissory note and mortgage, and the relationship of those instruments to the .” Also, to the extent the client fails to pay the legal fees and the lawyer is forced to foreclose on the mortgage, the client and the lawyer would have conflicting interests. The Opinion concluded, therefore, that while the proposed transaction was permissible, the lawyer must comply with Rule 1.8(a). The full opinion is available at: http://www.nysba.org/CustomTemplates/Content.aspx?id=67819. The full opinion is available at: http://www.nysba.org/CustomTemplates/Content.aspx?id=67820. Opinion 2017-1 addressed whether a lawyer may pay a fee to a bar association’s lawyer referral service, if the referral service intends to share the referral fee with a lawyer referral service operated by a different bar association. Rule 7.2(a) prohibits a lawyer from paying a referral fee except if the fee is paid to a “qualified legal assistance organization.” In turn, a “qualified legal assistance organization” is defined in Rule 1.0(p) as: (i) a legal aid and public defender office; (ii) a military assistance office; (iii) a legal referral service operated by a bar association; and (iv) certain bona fide organizations providing legal services to their beneficiaries or members. Thus, Rule 7.2 does not prohibit a lawyer from paying a referral fee to a bar association legal referral service. The Opinion concluded, therefore, that there is no reason why “one lawfully-operated referral service (or other qualified legal assistance organization) cannot cooperate with, and share referral fees with, another, as long as the lawyer’s required payment to the second referral service is not increased by virtue of the fact that it will be divided.” The Opinion continued, “fee-sharing between bar associations’ referral services does not cause any harm against which the fee-sharing rule protects and is consistent with the purposes for which Rule 7.2 exempts bar associations’ referral services from the restrictions against paying a person or organization for a referral.” The Opinion noted, however, that the analysis would be different if the original referral was not made by a duly-qualified assistance organization. In that event, any subsequent fee-sharing would be prohibited. The full opinion is available at: http://www.nycbar.org/member-and-career-services/committees/reports-listing/reports/detail/formal-opinion-2017-1-payment-of-fees-to-a-legal-referral-service.